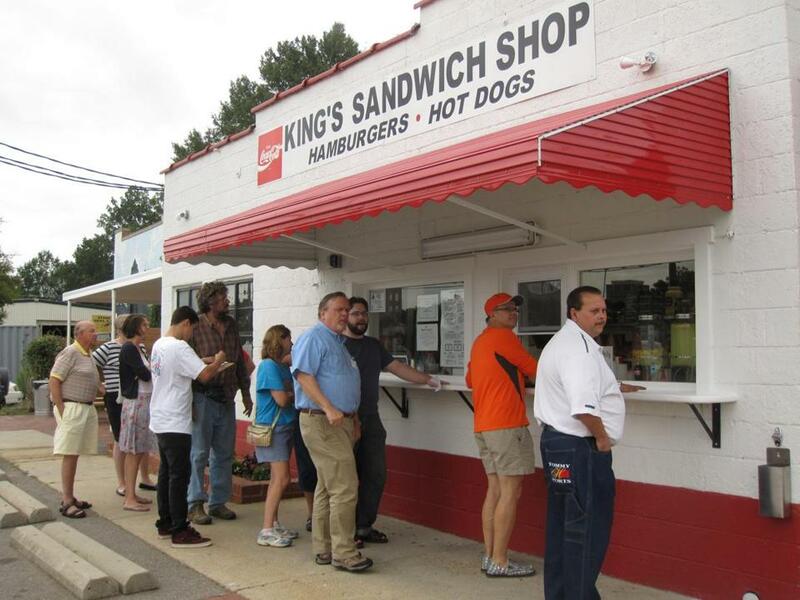 Burger joint King’s Sandwich Shop in Durham, N.C., looks much like it did when it opened in 1942. DURHAM, N.C. — While it won’t be confused with a certain New York locale, the Central Park neighborhood in downtown has surfaced as an offbeat, community-minded place to hang and have a bite. These spots have led the way. Geer Street Garden Owner Andy Magowan transformed a dilapidated brick building and onetime gas station into a hopping dining and drinking spot. Customers gravitate to the bar area, set in the former service bay, and the expansive patio, where extra-long picnic tables invite conversation with neighbors. Favorites include the Reuben sandwich ($9) and fried chicken plate ($12).